When you decide to have a website for your business, you come across some very important decisions which decide the fate of your website. Some of these crucial decisions include choice of visual design, structure, hosting, content, and your content management system. In case you are wondering what Content Management System (CMS) is; in simple words, a CMS is the program that takes care of all the content related functions of your website. Storing and indexing content – A CMS works as a repository for all your content. Searching and retrieval of content – It should be an easy task to find and access your existing content within your CMS. Formatting – A powerful CMS has a vast range of options for controlling all the features of your content’s format. Permission management – It is very important for a CMS to have the right mechanism for giving controlled access to users for backend management. Publication of content – Last but certainly not the least, a CMS must have strong publishing features. 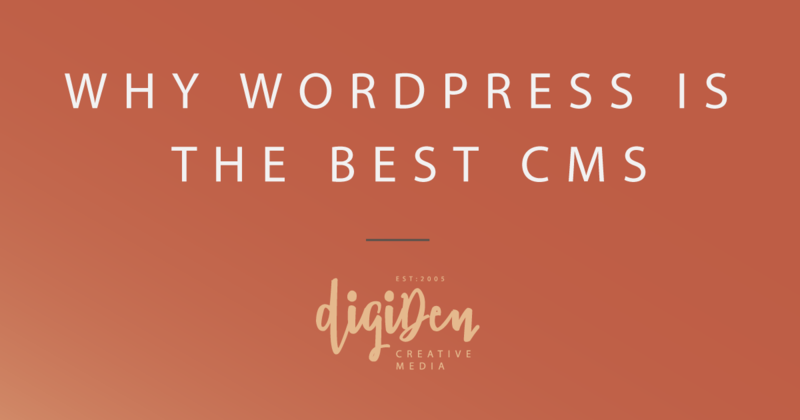 Out of all the CMSs out there, WordPress is the most widely used platform. According to the latest numbers by W3Techs, WordPress powers over 33% of the entire internet, and leads all other platforms by a large margin. And all this is, of course, not without a reason. Robust publishing capabilities – WordPress has a very powerful set of publishing tools. It offers flexible options and lets the designers fulfill your design needs more creatively. Administration – The dashboard offered by WordPress is a very meticulous one. You can manage all your content from a single point. The layout of its dashboard is quite clean and simple, making it easy to run the show seamlessly. SEO friendliness – WordPress has naturally embedded its SEO features in its publishing process. 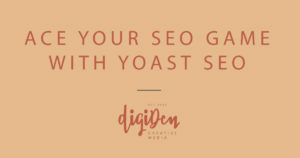 You can use powerful plugins like Yoast SEO to boost individual pages as well. As a result, you can enhance your SEO score just by paying a tiny bit of extra attention to the SEO related features. Social integration – Your website cannot pull in enough traffic without the help of social media channels. WordPress makes it easy to share your content on all the major social media platforms with an attractive presentation. Analytics – You cannot make any content related decision without a constant stream of analytics. WordPress integrates major analytical tools like Google Analytics to help you make effective decisions. Security – Your website cannot survive a single day without the latest security protection. WordPress offers a number of plugins that make sure that your website stays safe from all sorts of attacks. Ecosystem – WordPress has the largest ecosystem which lets us offer you all sorts developments for your website. WordPress has more than 54000 plugins on its market! This huge number means that we can help you add all sorts of bells and whistles to your website. Any other CMS does not allow us this type of flexibility. Ownership – A very important feature of WordPress is that it is an open source CMS. As a result, you enjoy 100% ownership of your website and all its aspects. Others CMSs own your website and you are always at the mercy of the CMS providers and their policies. 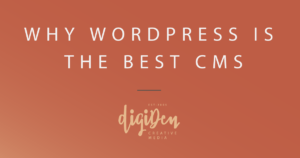 In our experience, WordPress outdoes all the available CMS options in every single criteria. That’s why we always recommend our clients to use WordPress to increase their chances of success. Don't want your website to go down the tubes? View Our WebCare Plans Today! 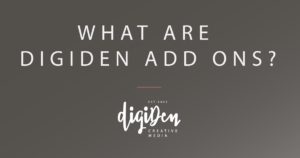 A gifted digital designer as well as the founder of digiDen Creative Media. Susanna is a creative who enjoys taking her clients’ brands to the next level with her strong aesthetics and tech-savviness. Since 2005, an ever-growing list of diverse businesses has come to rely on her digital visual solutions to achieve their business results. Susanna has a strong passion for visual design, imagery, technology, her animals, and the beach!